The Ganove is an elegant shoulder bag made of recycled polyester material with a waterproof PU coating. It can be attached to the front rack for Brompton in one easy step. The well thought-out strap system can be stowed away fast and safely on the bag. Due to the roll-top closure, the volume adapts perfectly to the respective requirements. In the large main compartment there is an additional compartment for documents or a laptop up to max. 15 inches. 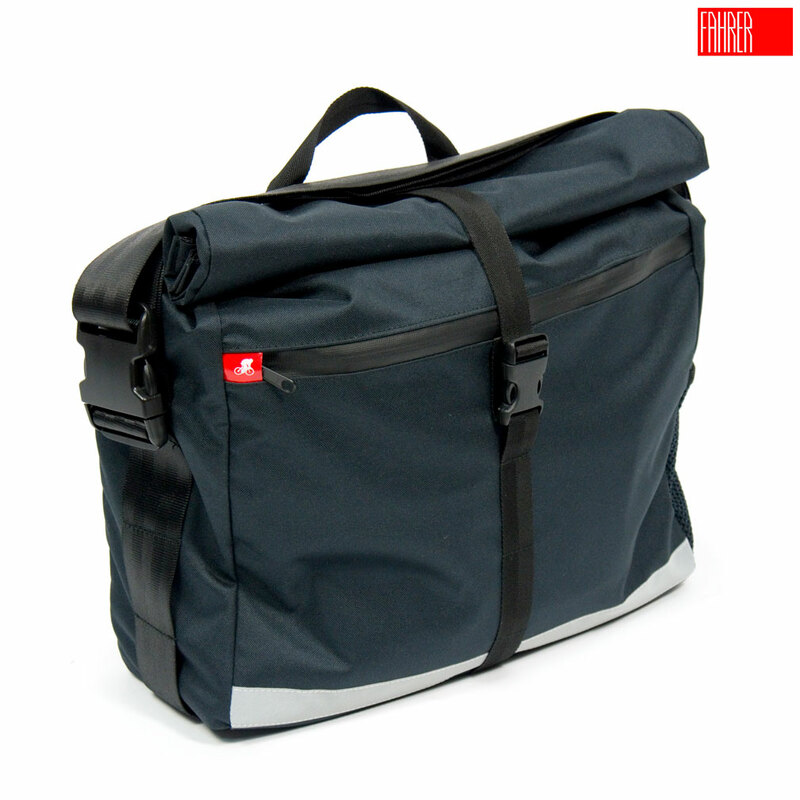 On the front of the bag there is a zipped pocket with several small compartments and a key loop. A reflective strip runs horizontally over the front of the bag for better visibility.